The most valuable way of graving a true understanding of why MiriamMakeba.org has dedicated this portion of the site to the late Bongi Makeba, is rooted in the significance of the person Bongi Makeba embodied during her brief life. And, the genesis for our logic begins with her name; Bongi, short for Sibongile; the literal translation of which means "We are grateful", carries immense gravitas and implication for the Makeba-Lee Family based on birthright. Precisely, because Bongi, our beloved Mother was the first and only child born to her Mother; the Legendary Songstress Dr. Miriam Makeba, and as such, Bongi Makeba represented a unique position in the direct lineage of greatness she was born into. Respectively, Bongi was also able to carve out a noteworthy Legacy of her own in the short time she was with us, engraving her place in history. 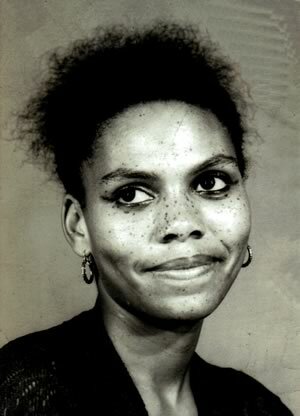 Born Angela Sibongile Makeba and in matrimonial Angela Sibongile Makeba-Lee, Bongi would eventually blossom into a creative Artist in her own right, both as a Singer, Composer and Songwriter; where she would distinguish herself by penning songs such as: "West Wind", "A luta Continua", "Lumumba", "Do You Remember Malcolm?" and "Quit It" - among others all sung by her Mother - Miriam Makeba. In collaborating her American Husband, Harold Nelson Lee, together in the early to mid-1970s, she made two 7" records featuring two soul tracks arranged by George Butcher: "That's The Kind Of Love" and "I Was So Glad" (France: Syliphone SYL533) & "Everything For You My Love" and the previously mentioned "Do You Remember Malcolm? ".